Most studies on Islamic, Arab, and Ottoman societies and civilizations are trapped into the evidentiary role of the texts that researchers have at their disposal, considerably reducing the role of text and language to a mimetic description of what happened. This book argues that an understanding of social relations primarily implies taking into consideration the textual production of society in terms of the meanings that could be ascribed to the texts themselves, and, second, that the analysis of texts, whatever their societal and institutional contexts, should look at its sources as discursive practices, in order not to reduce them to their preliminary role of bearers of factual evidence. 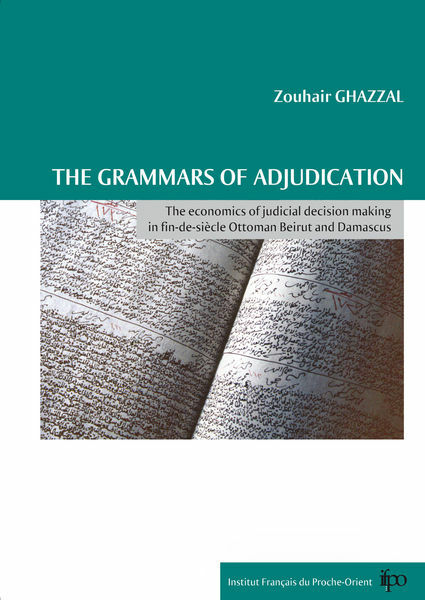 Drawing from a large variety of Ottoman “legal” texts from nineteenth-century Beirut and Damascus, this book avoids ascribing such texts to the normative values of “Islamic law,” by documenting instead how various discursive practices concretely operate within a particular terrain. Different levels of practises therefore emerge, all of which documented by the social actors that made their existence possible.